I was so very excited to see this brand new resource! Y’all know how much I love praying God’s Word! 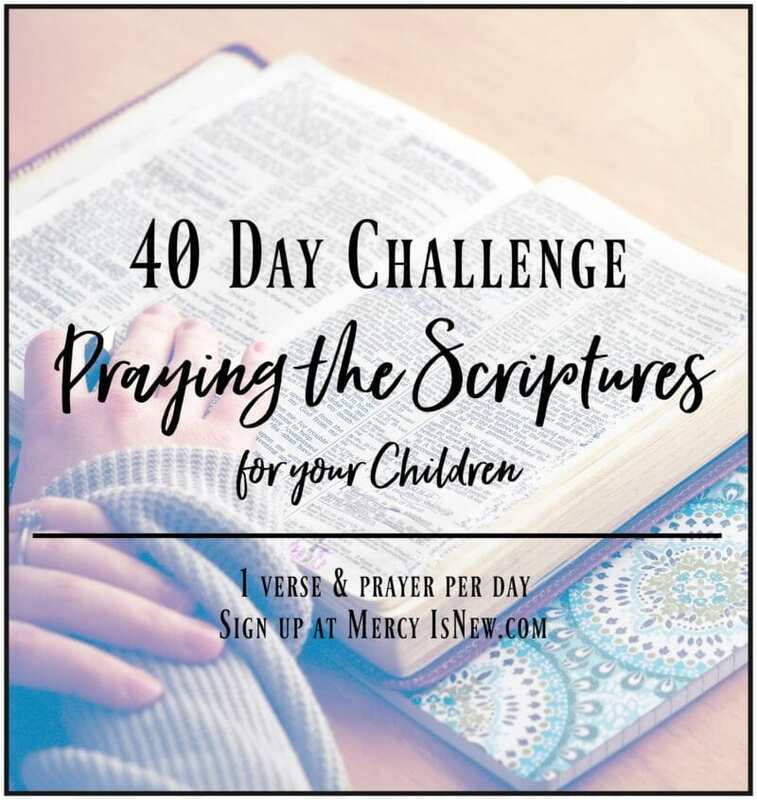 This brand new book called The One Year Praying Through the Bible for Your Kids is a Bible reading plan that takes you through the entire Bible in 365 days. 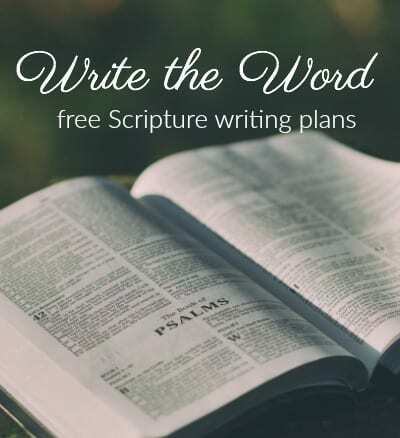 Along with the Scripture you are to read for that day, there is a page with a short devotional based on one of the passages for the day, and then a prayer that goes along with that devotion and Scripture. Praying through the Scriptures has changed my prayer life. To pray God’s Word, we must be IN God’s Word. We must be reading and meditating and asking God to show us more of Himself. And as we read, we can offer back His very words as prayers. Asking Him to do in us what we are reading about. Asking God to work in our children’s hearts the passages that we are reading. Asking Him to make us all more like Jesus. 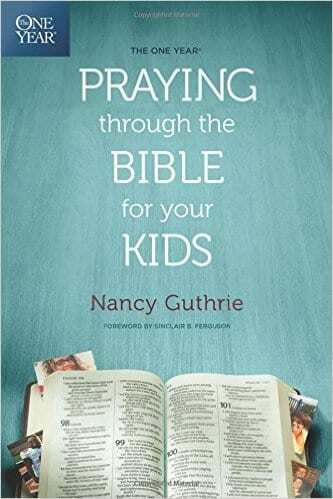 The devotions in this book are written by Nancy Guthrie and I really like them. 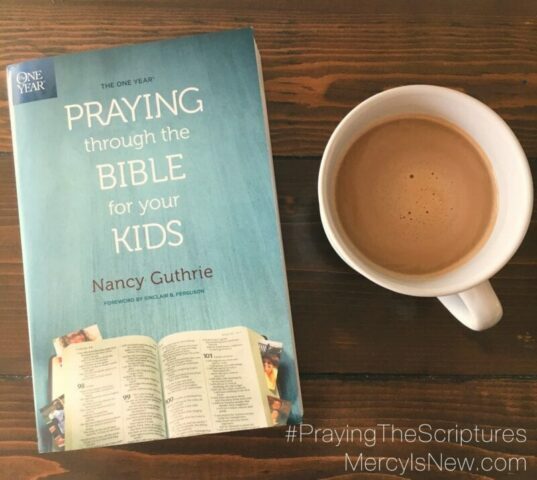 The devotions are written for the parents to read and have lots of parenting wisdom shared throughout. I love how she applies the Scriptures to her devotions and to the prayers. It’s my favorite way to pray. You can read samples of the devotions on Amazon’s page, but I also thought I would list a few samples here for you to glance at. 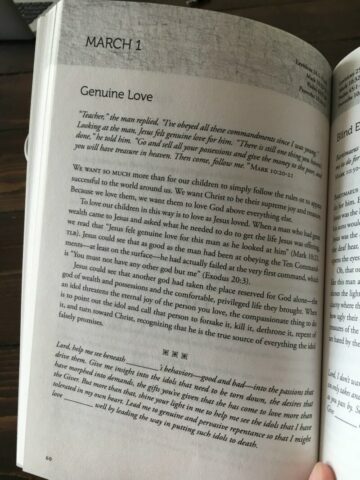 I really like to see the INSIDE of the books I’m reading, especially if it’s a devotional with a Scripture reading plan all in one! 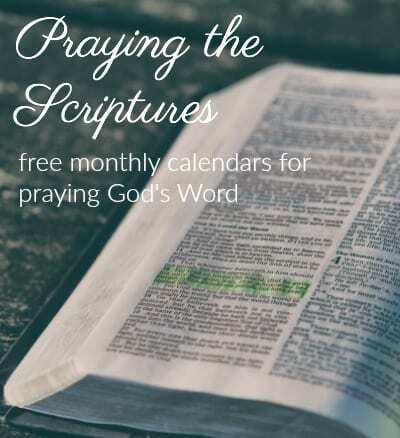 If you’d like a new devotional and Bible reading & prayer plan for the New Year, I can highly recommend this one to you!